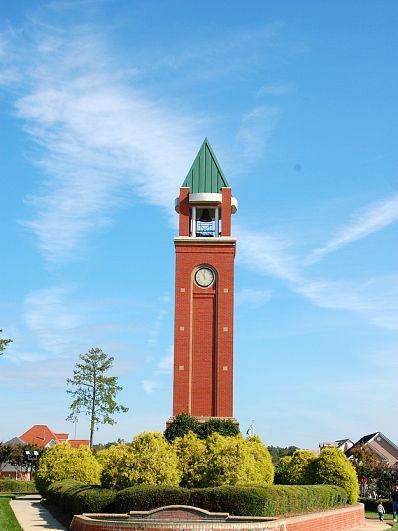 Two months rent required, to start lease (security deposit required, if pets are present). Lease is for one year minimum! Note: This is not your standard box shaped home. In fact, there is absolutely, nothing standard, about this home! A kitchen, to die for! 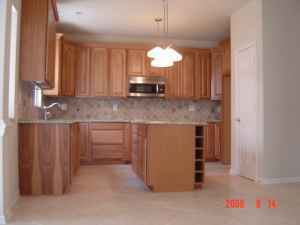 42" solid wood cabinets, custom tile backsplash, solid granite countertops. Center Island, with granite top, and built in wine rack. Kitchen window at doubble sink, overlooks arbored, flagstone patio, outside. Stainless side-by side refrigerator is not shown in kitchen, but is included, as also are the double sink, and dishwasher. 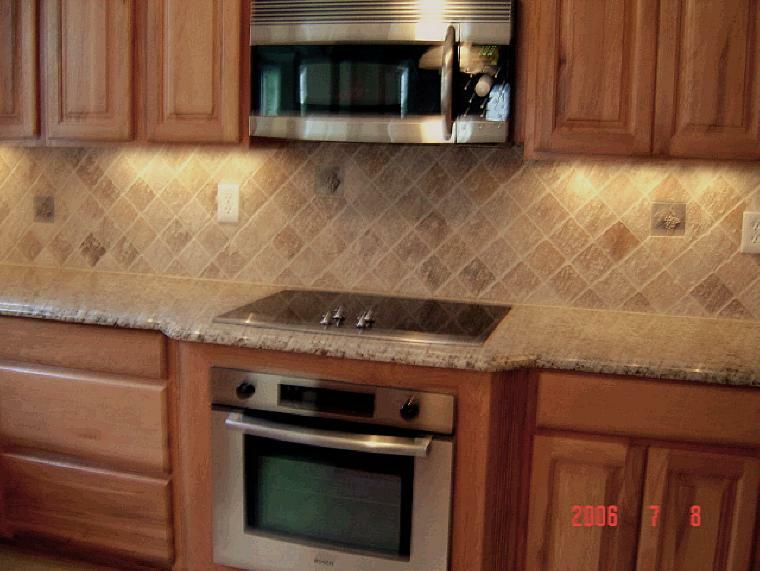 4" travertine squares, are set on a diagonal (diamond shape) backsplash, above the thick granite countertops. An occasional bronze embossed tile, with grapes, gives it a Tuscany flair! Wine racks adorn both ends of the center island! 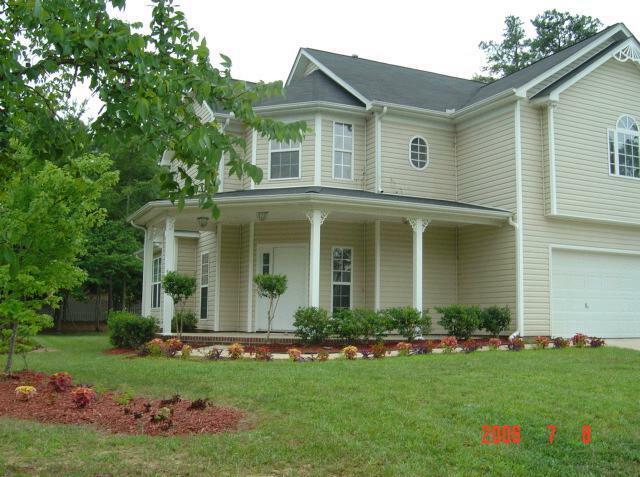 This six year old home, is in "Like New Condition!" All four of these rooms are done in the same tone, and style as what you see here. 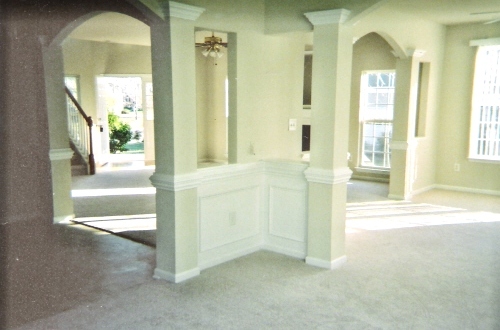 Formal dinning room has 20 by 20 Travertine Tile floor, which is carried into the kitchen! 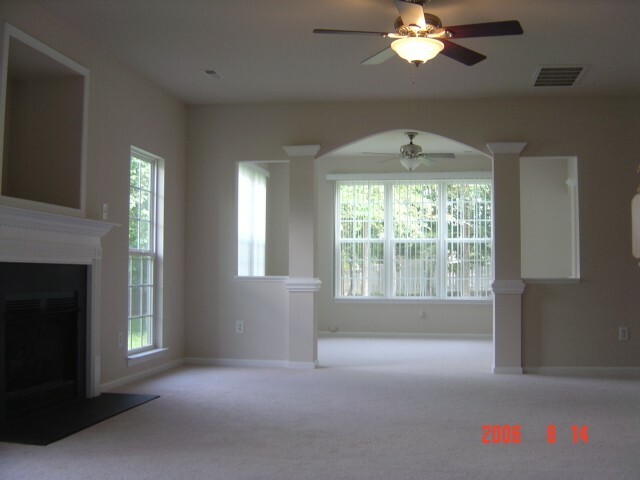 Sunroom, and breakfast room are carpeted, as also is the greatroom. 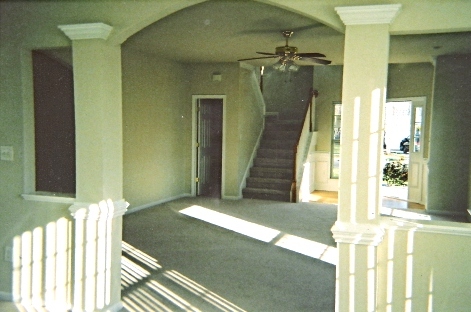 Sunlight pours in, from almost every angle, with views of the large yard! Window style, and treatments shown at far end of the picture above, are carried into the breakfast room, next to the sunroom, as also is the columned/arched building style! Shown with all the blinds open! These rooms absolutely flood, with sunlight, and offer large windows, overlooking large back yard, and small lake area. A balcony overlooks the entry, with the stairs, just to the left of it (upstairs, looking down). and, it is stunningly styled! Fireplace, is gas, and has recess above it for TV, or other decorations. Half bath is downstairs, two full baths upstairs. 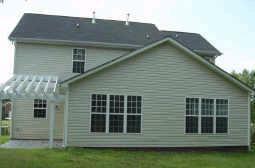 Master suite, is 564 sq ft, and has a master closet, that is almost large enough, to be a bedroom! 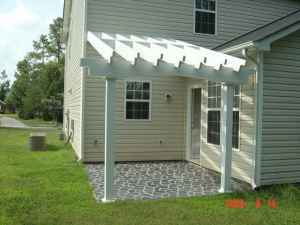 Master bath, is a huge 16' by 8', with separate shower, and tub, with double sinks. Master closet is 12' by 8', slightly "L shaped"
There are two additional bedrooms upstairs, with a full bath off the hallway at the top of the stairs, laundry, and a study nitch, ovelooking the entry. A second full luxury bath, is in the huge master suite. Two upstairs bedrooms, overlook small lake. 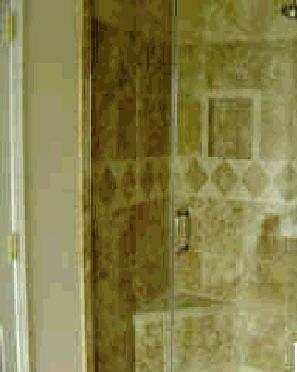 Travertine shower with glass doors. We do not want pets, of any kind, or size, unless you are willing to pay an additional security deposit, for each animal! My terms are fair, but firm. I am reasonable, but protective of my property!